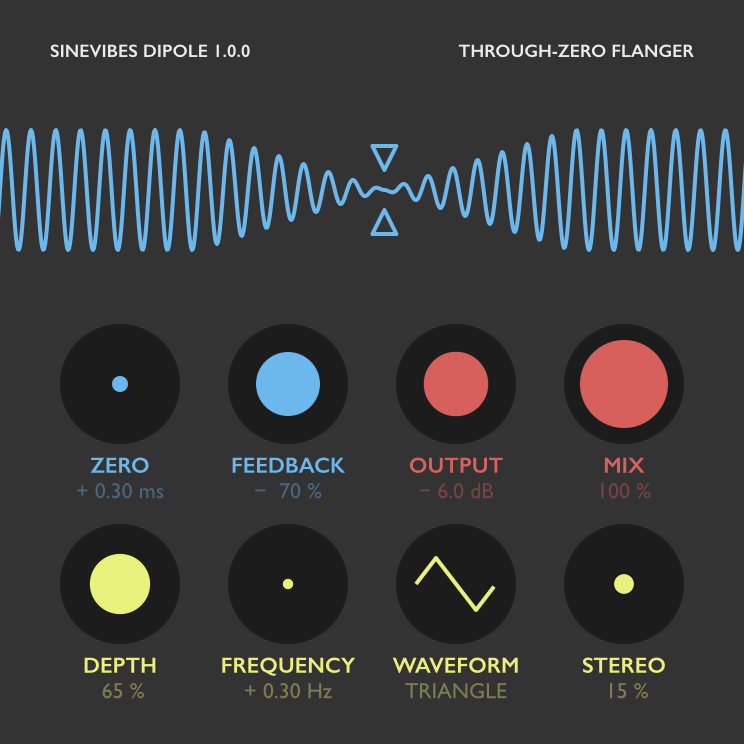 Dipole by Sinevibes is a Virtual Effect Audio Plugin. It functions as an Audio Units Plugin. Dipole by Sinevibes is a through-zero flanger effect. It employs two separate playback timelines for input audio, one of them being able to run earlier or later in time in relation to another - plus a trick feedback loop. And the actual magic happens when you adjust this time difference and go through the zero point. With positive feedback, Dipole produces that coveted spectral "swoosh" effect of a jet plane fly-by; and with negative feedback the output warps and eventually cancels itself out. In the old days, such effects were created "offline" using two tape machines - but now Dipole lets you have those charismatic sounds inside your DAW, and with much higher fidelity.